One thing Samuel preached to his children was “knowledge is power.” Perhaps as the result in the break in his own education, Samuel stressed the importance of studies. When he was six or seven, Davis and his older sister Polly attended a one-room schoolhouse in a log cabin near Woodville. In May or June 1816 “Little Jeff”, as his mother called him for his small size, was sent away by his father over the Natchez Trace to Saint Thomas College in Springfield, Kentucky. Davis attended St. Thomas, a Catholic school run by the Dominicans, from July 10, 1816, until May 1818 when his mother insisted on his return to Mississippi, now a state. During Davis' youth, the family moved twice; in 1811 to St. Mary Parish, Louisiana, and in 1812 to Wilkinson County, Mississippi near the town of Woodville. In 1813, Davis began his education together with his sister Mary, attending a log cabin school a mile from their home in the small town of Woodville, known as the Wilkinson Academy. 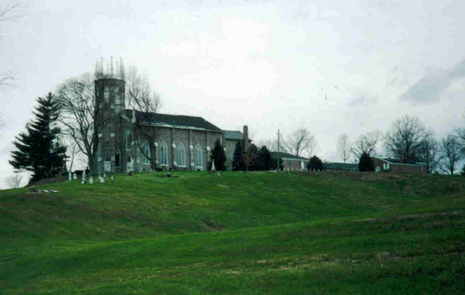 Two years later, Davis entered the Catholic school of Saint Thomas at St. Rose Priory, a school operated by the Dominican Order in Washington County, Kentucky. At the time, he was the only Protestant student. Jefferson Davis - Early Life, Education, etc.